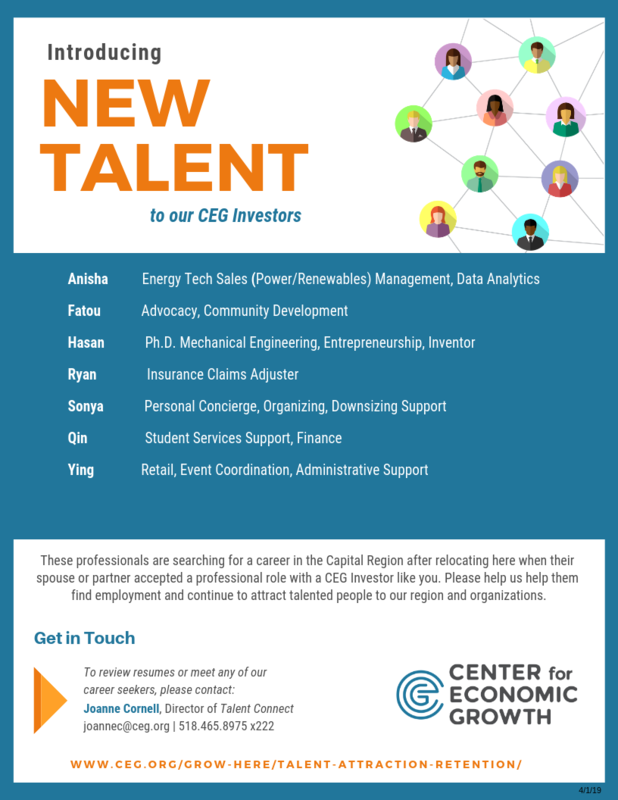 Job seekers with Talent Connect (relocated to our region when their spouse/partner accepted a professional role with a CEG investor like you) are searching for a career in NY’s Capital Retion. Please help us help them find employment and continue to attract talented people to our region and organizations. Download our flyer to review the newest relocated professionals! 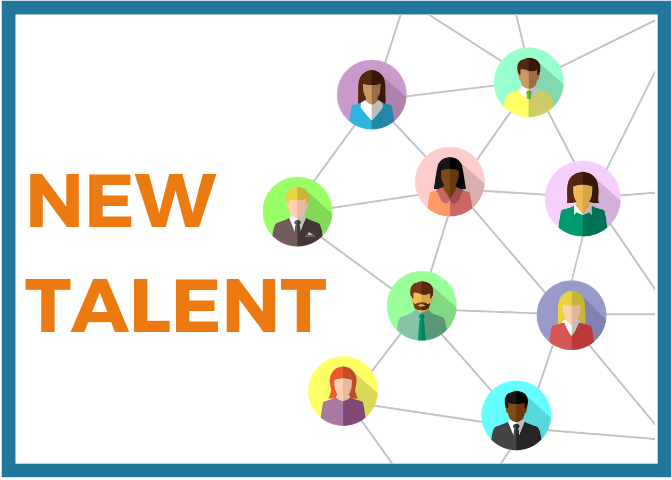 To meet any of our career seekers or review their resumes, please contact Joanne Cornell, Director of Talent Connect. The Talent Connect team is exhibiting at events throughout the northeast on behalf of our investors attracting new talent to look closer at relocating to the Capital Region. We exhibit at Colleges & Universities, City/County Career Fairs, Industry Cluster Fairs, and Military Installations. We offer information on our industry clusters, cost of living, quality of life, and available jobs. Investors are always welcome to join us at no expense. More information coming soon! Check back for updates.